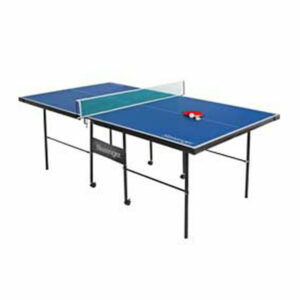 Bring a new dimension to your enjoyment of the game with the 11-a-side table football console. Easy grip player rods allow for precise control while the built in scoreboards allow you to concentrate on the game at hand. A fantastic way to keep all of the family entertained. Easy grip handles on player rods and adjustable feet to maximise stability. Built in scores above goals. At Maxx.ie the quality of our products is matched only by our after sale service. All products come with a full 12 month parts and labour guarantee and in the unlikely event of a problem our expert engineers are only a phone call away. At Maxx.ie our engineers are available to answer any questions you may have on our full range of products. All units can be collected free of charge from the main showroom in Dundalk should the customer wish to collect and avoid delivery charges. Please contact us in advance of collection to confirm collection vehicle requirements. We delivery throughout the whole of Ireland and we endeavour to have your item with you within 1 working day from date of purchase. Please see the table below for our delivery service, we keep you informed of the delivery process throughout either by text or email. Delivery times may vary depending on peak times and other factors. Delivery is a one man kerbside delivery and you should ensure to have somebody available to help the driver with the item if its over 30kg. DELIVERY COSTS Delivery costs vary depending on the item and range from €25-€45-€75. Please see check out and cart pages for individual delivery costs. 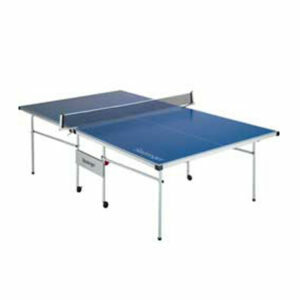 Slazenger 9ft Indoor Table Tennis Table. 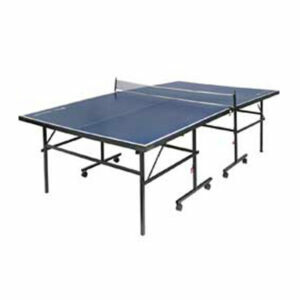 Slazenger Indoor Outdoor Foldable Table Tennis Table.